You’ve set up your venue for the big day. The guest list is ready, decorations are on their way and smiles are abound. 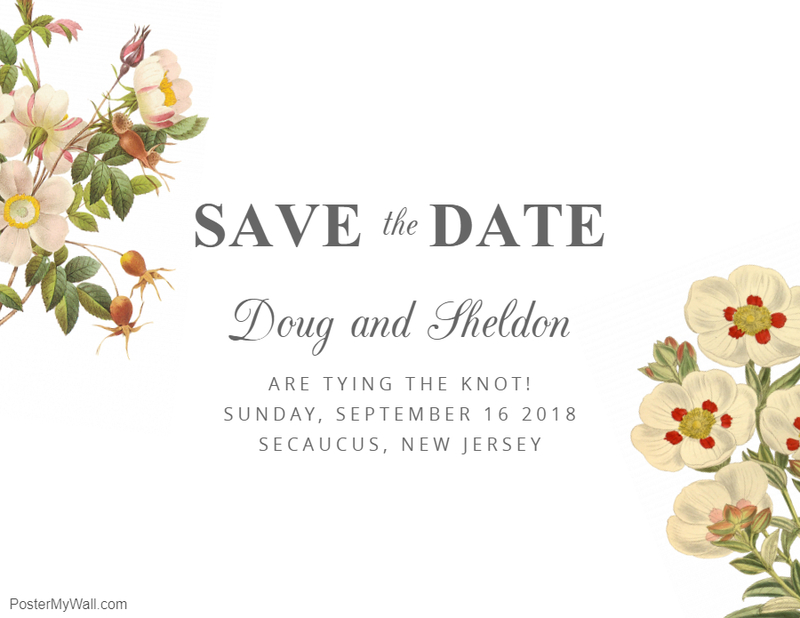 Now it’s time to send out your Save the Date invitations. 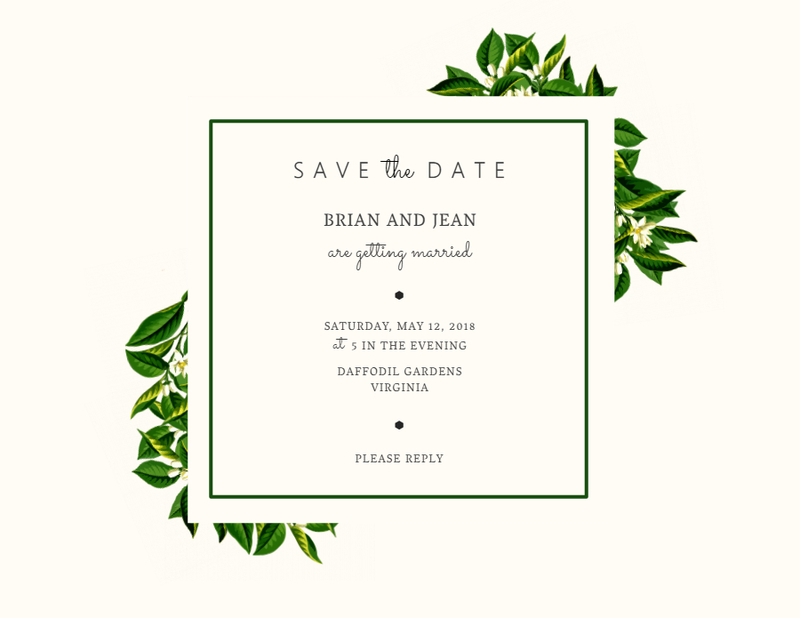 Luckily, you can save a lot of time and money, without compromising on quality with a beautiful invitation all with PosterMyWall’s Save the Date card templates. To make your job even easier, we’ve picked out some of our favorite designs and listed them here. For your ease, we’ve divided them to design types, suited for a variety of tastes. Pick the design that best resonates with you. To start things up, let’s talk about something that’s modern. Empty looking designs with lots of negative space and scanty graphics are the new norm in postcard and flyer designs, but there’s a certain allure in what is now considered ‘old-fashioned’ or even ‘outdated’ design practices. Here’s some of our favorite picks from these ‘old-fashioned designs’. Symmetry signified a balanced design, with elements (usually) center-focused and appear naturally pleasing to the eye. 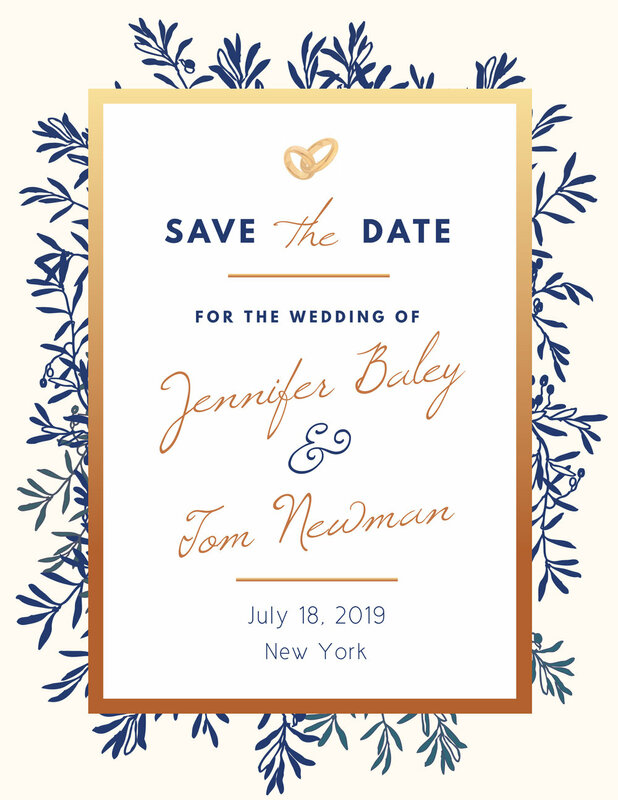 Symmetrical designs can be modern, but that is not a rule, and it’s a safe option to use when you’re looking to create a reliable invitation. 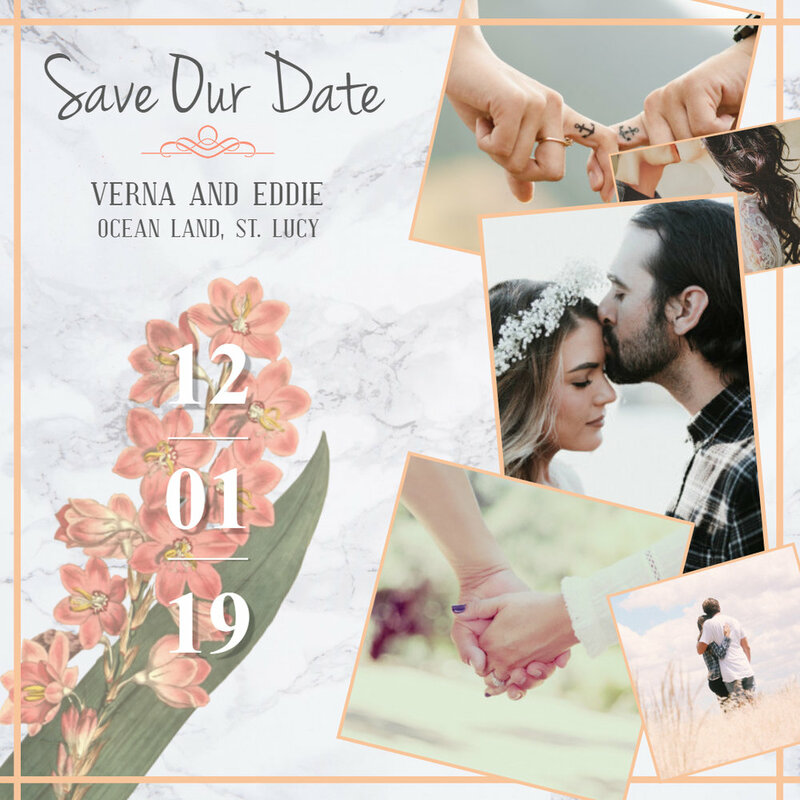 Save the date is all about a very special moment in your life, so a picture, or even a collage of pictures can enhance your invitation. 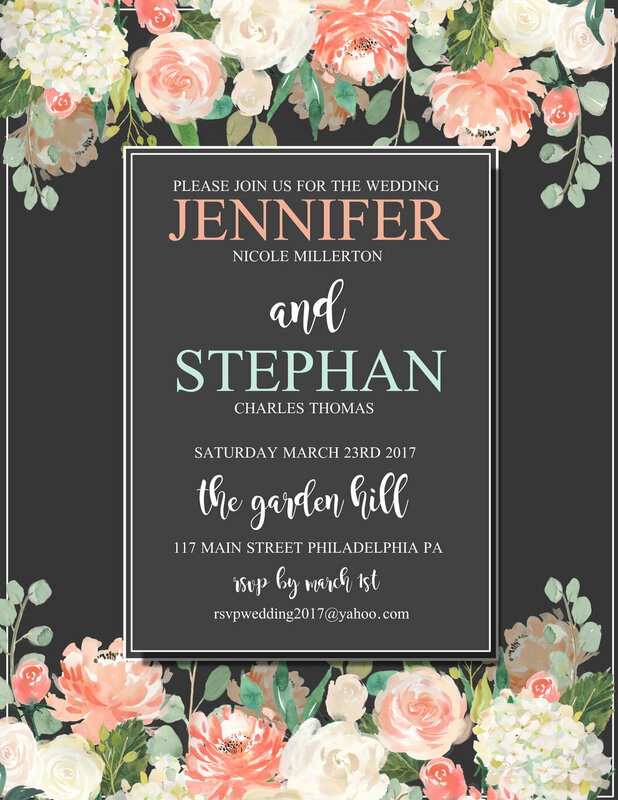 Use pictures to personalize your invitations, and we’ve picked out templates that will work well with your pictures. You can use various effects in the PosterMyWall editor, such as borders and filters to enhance your pictures. Use these effects in moderation, as too many can cause discord. Modern designs explore negative space, use neutral and mild colors and generally sport a clean, solid look. 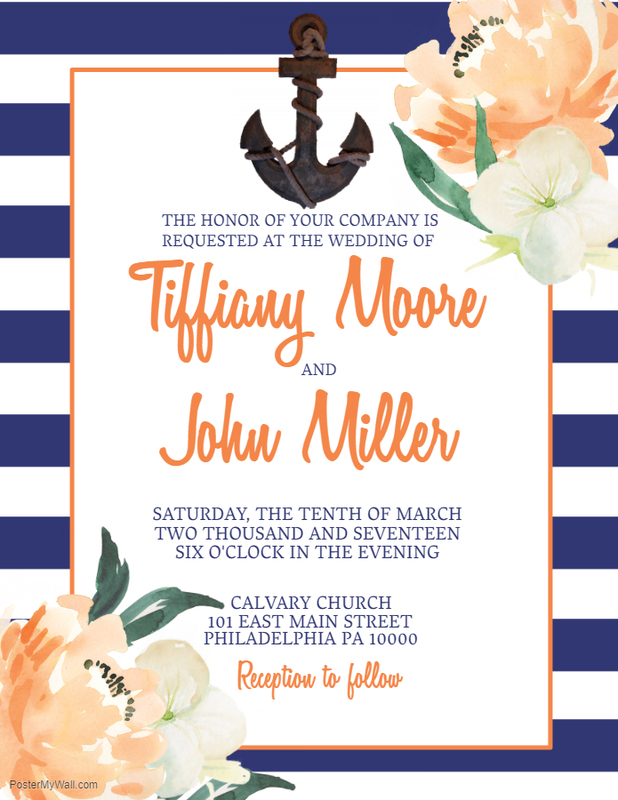 You can use the modern look to create some elegant looking invitations. Your invitations are all going to be two-dimensional, but that doesn’t mean they need to look that way. Integration and layers are two ways to make your design appear multi-faceted and three-dimensional. As the name suggests, you can create designs as if various elements are stacked, or layered over each other. This makes for both complex and simple designs. Integration is a design technique which involves combining text and graphic elements in a way that makes them appear intertwined with each other. 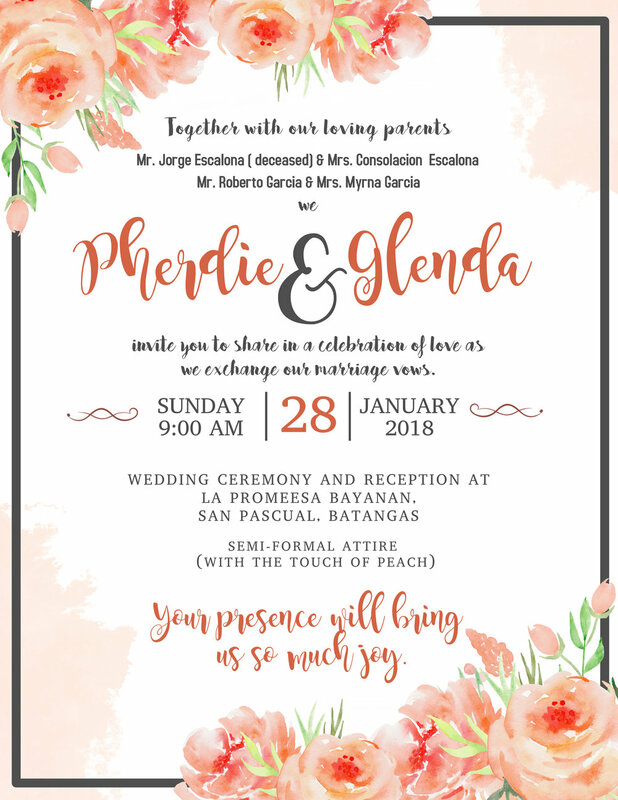 If the above designs didn’t catch your eye, don’t worry, we have some more great looking templates to resonate with the dream invitation you want to save your date. Still looking for more ideas? 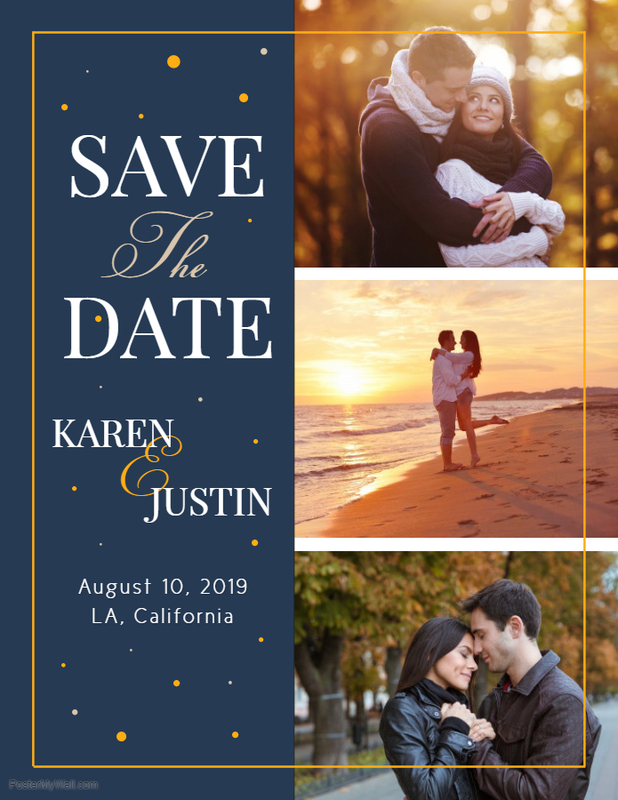 Don’t worry, here are some more Save the date and wedding templates.